2. Multiculturalism (critical and comparative) and its alternatives: anti-racism, critical race theory, cosmopolitanism, interculturalism. Handel Kashope Wright has been variously Canada Research Chair of Comparative Cultural Studies, David Lam Chair of Multicultural Education and co-editor of the journal International Education and editorial board member of Cultural Studies. 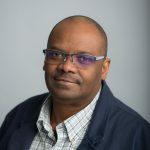 He is currently Full Professor and Director of the Centre for Culture, Identity and Education, University of British Columbia http://www.ccie.educ.ubc.ca. He is co-editor of the book series African and Diasporic Cultural Studies (University of Toronto Press), associate editor of Critical Arts and serves on the editorial board of several cultural studies and education journals including the International Journal of Cultural Studies; the European Journal of Cultural Studies; the Canadian Journal of Education and Postcolonial Studies in Education. Professor Wright is Senior Research Associate, Department of Communication Studies, University of Johannesburg, South Africa and has published extensively on continental African cultural studies, cultural studies of education, critical multiculturalism, anti-racist education, qualitative research and post-reconceptualization curriculum theorizing. University of Sierra Leone, BA (English), Hons. De B’beri, B., Reid-Maroney, N. & Wright, H.K. (Eds.). (2014). The Promised Land? History and Historiography of Black Experience in Chatham-Kent’s Settlements and Beyond. Toronto: University of Toronto Press. Wright, H.K., Singh, M. & Race, R. (Eds.). (2012). Precarious international multicultural education: Hegemony, dissent and rising alternatives. Sense Publishers. Wright, H.K. & Abdi, A. (Eds.). (2012). The Dialectics of African Education and Western Discourses: Appropriation, Ambivalence and Alternatives. New York: Peter Lang Publishing. Wright, H.K. & Morris, M. (Eds.). (2012). Transnationalism and cultural studies. London & New York: Routledge. Tomaselli, K.G. & Wright, H.K. (Eds.). (2011). Africa, Cultural Studies and Difference. London & New York: Routledge. Wright, H.K. (2004). A Prescience of African Cultural Studies: The future of literature studies in Africa is not what it was. New York: Peter Lang Publishing. Wright, H.K. (2016). The Worldliness of Stuart Hall. International Journal of Cultural Studies, 19 (1). Rutten, K., Rodman, G, & Wright, H.K. (2013). Cultural Studies and Critical Literacies. International Journal of Cultural Studies, 16 (5). Morris, M. & Wright, H.K. (Eds.). (2009). Transnationalism and cultural studies. Cultural Studies, 23 (2). Wright, H.K. & Tomaselli, K. (Eds.). (2008). Cultural Studies in Africa / African cultural studies. Cultural Studies, 22 (2). Wright, H.K., Nashon, S., & Anderson, D. (Eds.). (2007). African Education: Worldviews, Ways of Knowing and Pedagogy. Diaspora, Indigenous and Minority Education, 1 (4). Wright, H.K. & Lather, P. (Eds). (2006). Paradigm Proliferation in Educational Research. International Journal of Qualitative Studies in Education, 19 (1). Wright, H.K. (Ed.). (2003). Diasporic Africans and the Question of Identity. Critical Arts, 17 (1, 2) [double issue]. Wright, H.K. (Ed.). (2003). Qualitative Research in Education. Tennessee Education, 32 (2). Maton, K. & Wright, H.K. (Eds.). (2002). Returning Cultural Studies to Education. International Journal of Cultural Studies, 5 (4). Wright, H.K. (2016). Stuart Hall’s Relevance for the Study of African Blackness. International Journal of Cultural Studies, 19 (1), 85-99. Wright, H.K. (2011). Everything Old Ought to be New Again: Post-Reconceptualization Curriculum as Presentist Praxis. Journal of curriculum and pedagogy, 8 (1), 19-22. Wright, H.K. (2006). Are we (T)here Yet? Qualitative Research in Education’s Profuse and Contested Present. International Journal of Qualitative Studies in Education, 19 (6), 793-802. Wright, H.K. (2003). Cultural Studies as Praxis: (Making) An Autobiographical Case. Cultural Studies, 17 (6), 805-822. Wright, H. K. (2003). An Endarkened Feminist Epistemology? Black Feminist Identity, Difference and the Politics of Educational Research. International Journal of Qualitative Studies in Education, 16 (2), 197-214. Wright, H. K. (2000). Nailing Jell-O to the Wall: Pinpointing Aspects of State-of-the-Art Curriculum Theorizing on the Threshold of the 21st Century. Educational Researcher, 29 (5), 4-13. Wright, H. K. (1998). Dare we De-Centre Birmingham? Troubling the Origin and Trajectories of Cultural Studies. European Journal of Cultural Studies, 1, (1), 33-56. Wright, H.K. (1995). (Re)Conceptualizing Pedagogy as Cultural Praxis. Education and Society: International Journal in Education and Sociology, 13, (1), 67-81. Wright, H.K. (1994). Multiculturalism, Anti-Racism, and Afrocentrism: The Politics of Race in Educational Praxis. International Journal of Comparative Race and Ethnic Studies. 1, (2), 13-31. American Educational Research Association (Denver, CO), May, 2010. Qualitative Research Special Interest Group. Egon Guba Keynote Address- What Difference Does Difference Make? Identity (and) Politics in Qualitative Research in Education. Dilek Kayaalp. Social, Cultural and Educational Inclusion/Exclusion of Turkish Immigrant Youth in Canada. Maryam Nabavi. (Un)Learning Citizenship in Canada: Iranian Immigrant Youths’ Silences, Contradictions and Expressions. Pearl Hunt. Music Lessons: A Cultural Studies Analysis of Music’s Capacity for critical Pedagogy and Methodology. Omar Abdullahi. Co-supervisor of Ed.D Multicultural education (case study) on Islamic Education in a Multicultural Context: The Case of Two Educational Institutions in British Columbia. Peter Lee. Rethinking “Chineseness” and the Identities of Vancouver’s Chinese Youth: Ascribed and Performed Identities and the Implications for Education. Jasmine Dares. “Poetry Out of Poison:” Exploring Rap Music as Critical Pedagogy. Nadia Mallay. Its Not Just Black and White: Engaging Marginalized Students of Canadian Public Education Through Critical Race Theory and Intersectionality. Jason Charles. Multiculturalism and Students’ Perceptions of Canada at a British Columbia Offshore School in China. Jesse Giacomini. Respecting the Power of Liminality in my ELSA Class. Dr. Wright serves on the City of Vancouver’s Black History Month Event Planning Committee. He also serves in an unofficial capacity as advisor to the Executive of the community group, Sierra Leoneans in British Columbia and the UBC student group, Africa Awareness. Much of Professor Wright’s work is in the field of cultural studies where in addition to presentations and publications, he undertakes service. In addition to his service on the editorial or advisory board of several cultural studies journals, this includes serving on the international advisory board of the University of East London Cultural Studies Book Series Radical Cultural Studies (http://www.rowmaninternational.com/series/radical-cultural-studies) and the Cardiff School of English, Communication and Philosophy book series Critical Perspectives on Theory, Culture and Politics (http://www.cardiff.ac.uk/encap/cct/tcp/index.html). Professor Wright is founding member of the Cultural Studies Association (USA) (http://www.culturalstudiesassociation.org/) and has served two four year terms as African representative on the Executive of the Association for Cultural Studies (http://www.cultstud.org/wordpress/).